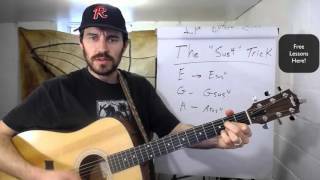 Here is a quick little lesson to help you understand the Sus4 chord and how to use it. I'll give several different examples of when you might hear it and how to use it with a handful of different chords. It's a great little thing to know and be able to use! Get instant access to this Lesson by simply creating an account on MusicWithRyan!